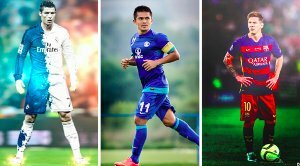 Two of the vital cogs in Chennaiyin FC’s title-winning wheel – Francisco Fernandes and Mohammed Rafi have renewed their contracts with the club by one year each. 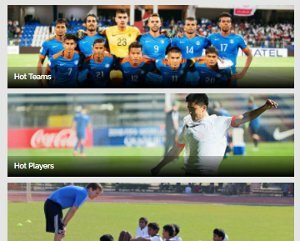 The experienced Indian duo with more than 30 India caps between them will continue as Marina Machans in the coming season, looking to defend the ISL title with the same gusto with which they won it last time out. 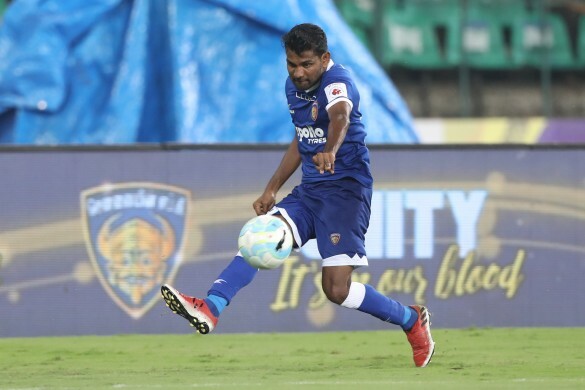 Fondly called ‘Frankie’ by the gaffer John Gregory, 32-year old Francisco was picked by Chennaiyin in last season’s Player Draft despite undergoing an ankle surgery. The nippy winger from South Goa repaid the faith shown in him by proving to be a versatile and ever-present force in what was a campaign to remember. He notched 17 appearances and scored one goal last season, but more importantly was efficient in whatever position he was deployed in. A tireless runner adept at manning either flank as an attacking winger, Francisco even doubled up at right-back on crucial occasions to keep the opposition out. “I can’t thank the coaching staff and club management enough for trusting in me. It is an incredible feeling as a player to have that kind of backing. I hope I was able to show my gratitude with my performances last season. I’m glad I was part of our incredible title success. Next season will be a bigger challenge for us and I’m glad to continue my journey here,” said a grateful Frankie on continuing with Chennaiyin for one more year. Having reached three of the four ISL finals so far (previously with ATK & Kerala Blasters), Mohammed Rafi is another experienced figure in the Chennaiyin ranks. The ‘Headmaster’ contributed vastly to Chennaiyin’s second ISL triumph with both of his two goals last season coming from headers after he’d come off the bench. His second, an 89th-minute equalizer against Jamshedpur FC, helped the side avoid defeat and secure a vital point in the race to the playoffs. His work ethic and fitness was top-notch all season, making him a super-sub in his own right. With bags of experience and proven attacking prowess, Rafi is an invaluable presence in the Chennaiyin dressing room. “I am very happy to continue with Chennaiyin FC for one more year. The fight and resolve shown by us last season to win the title was amazing. We believed in ourselves throughout and I am happy to have contributed to the success. 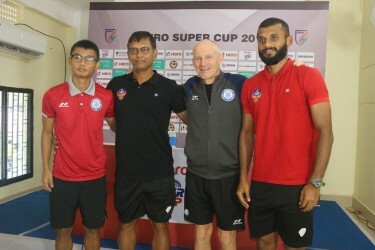 We need to work hard and be stronger next season,” said the 35-year old Rafi. Head Coach John Gregory stressed on the importance of retaining two experienced heads in Francisco and Rafi. “Keeping the core of our side intact from last season is of paramount importance. And Frankie and Rafi are integral members of that core. They’re almost unsung heroes of the side, top-class professionals who did a brilliant job for their team when called upon. I’m glad the two have decided to extend their contracts with us,” said the gaffer.